Searching for makeup ideas for Indian skin or say dusky skin tone? 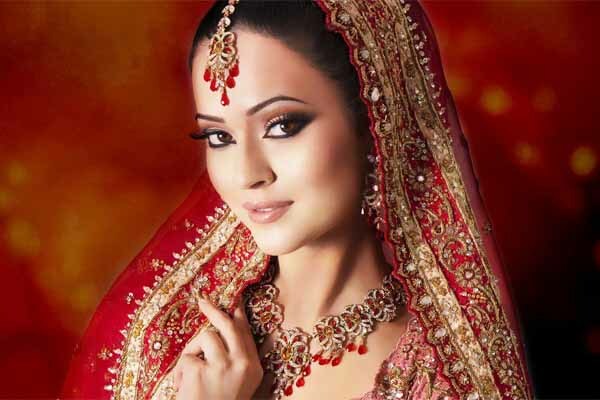 Dusky girls with dark complexions or brown skin are always worried about the kind of makeup to be used or what kind of dresses, an Indian complexion can wear. We are trying to provide a solution how to apply makeup for dusky skin tone for Indian beauty. The fair complexion people stick around as the casual show stealer of all time. Wherever they go, the awe-eyes will be after them. Come on, these are the out of date thoughts. Now it is the dusky divas who are rocking the show. It is not a big deal if you are tan, brown or dusky. What matters the most is your attitude and the way you carry yourselves. So my dear chocolate colored girls, this is for you. Choosing the right colored foundation cream is the basic essence of the makeover. 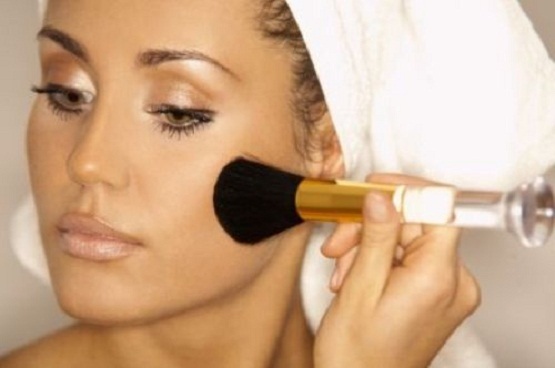 Always staunchly opt for the exact color of foundation which matches to your skin tone perfectly. Because going for any other less-matching shades will result in the uneven skin finish. To get a perfect match you can even blend two colored foundation creams to one, with the condition that both the creams should be from the same brand. Before applying the foundation, try mixing up a few drops of water so that it gets set on your skin unblemished. Never fail to apply on your neck while applying the foundation. Finally, make it done by applying some translucent face powder. Indian skin tone is highly diversified so if you have selected a perfect foundation for your skin tone then you are half done. Indian brands knows the best foundation for Indian Skin. The Indian dusky tone girls are especially blessed with deep and dark eyes. So it all lies in our hands that how smartly we are going to highlight it. The powdery, so light or gaudy colored eye shadows are not suggestible because it will ever dominate the beauty of your eyes. Instead, try to use shades like antique bronze, barn red, bistro, deep gray, chocolate brown, burgundy, grayish blue, copper, donkey brown shades. Prefer water proof eye liners rather than the ordinary ones so that it remains untouched even in sweaty seasons. Always try to give a simple but a solicitous touch to your eyes instead of overdoing it because it is the eyes which speaks tons about your beautiful face. The purpose of the blush is to highlight your shapely cheeks. So avoid colors like brown, beige or any other Crimean colors. If you do, you won’t get the feel of getting it even after applying it for several times and applying it so many times gives you a charred look. To avoid it use shades like burnt orange, dark red, plum, wine and even less flashy golden shade is a good choice for evening parties. Makeup ideas for dusky complexion is tricky, but at the end, it can bring out the diva in you. Always remember to have a set of your well-suited lip color, lip liner, lip gloss – all on single shade. Despite looking for matching lip colors for the dress you wear, it is best to prefer lip shades according to the event you are planning to attend like candy orange, copper red, red wine will look splendid on you for morning time festive occasions. Mild shades like Barbie pink, bittersweet red, burnt pink with a light shimmering gloss will give a stylish overall look. If your lip is too dry, then wet your lips lightly with lip moisturizers before you color it. So that it will stay for considerable good time. Lips and eyes play a real trick in making a diva and makeup tips for brown skin or brown eyes takes it all. You can wear whatever you would love to but at the same time take care whether it sits comfortably on you. Also have some special care for the fitting of the attire you are going to wear. Dark toned girls can go for gentle colored attires like copper green, balmy purple, burned red, etc. If you feel restricted with these color choices of dress, then go for a dark colored dress which has mild white borders on them. Colors have different effects with different combination. For example, brown looks different with light blue than with green. So go for such smart combo of dress so that you need not to avoid dark colors if it is your favorite. Very nice post and very good suggestions.